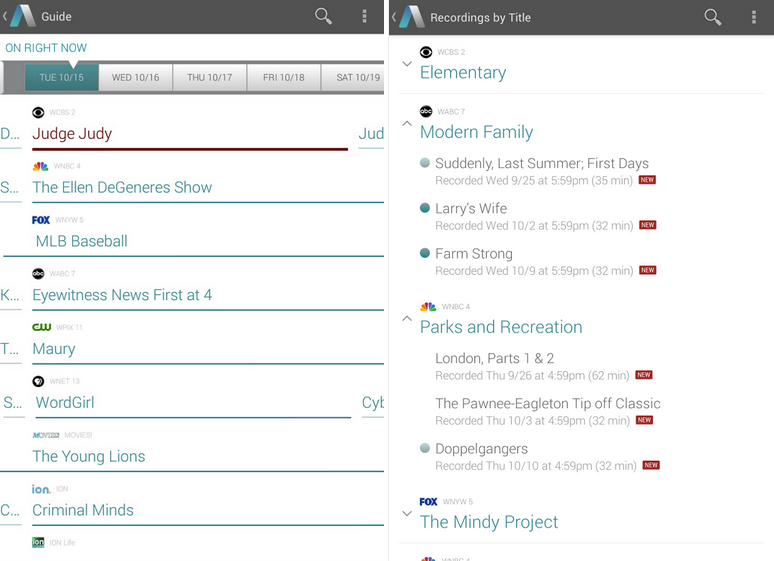 Aereo, a service that allows users in very select markets to stream and record live TV, launched an official Android beta app this morning. The app will allow users to control their cloud-based DVRs, plus stream all of their shows from wherever they are. Although, the service is only in very select markets, and is still continually rolling out to new cities. For now, folks in New York City, Boston, Atlanta, Dallas, Houston, and Miami metropolitan areas can access the network. The app is free, and if you have Aereo, go give it a try and let us know how you like the service. We have been very curious about it.